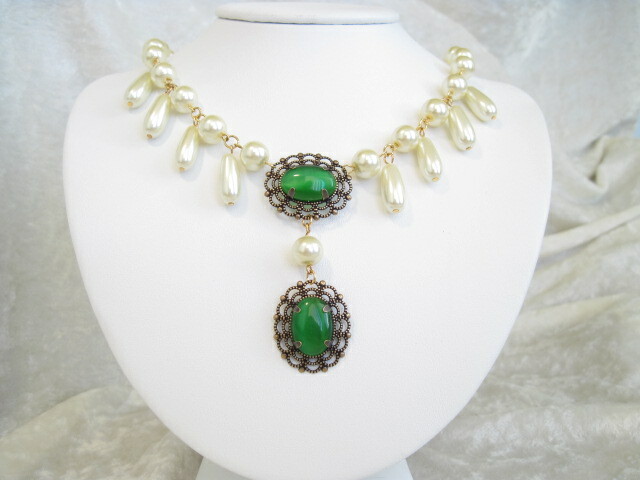 A charming neckace and earring combination to set off any lady's natural beauty! 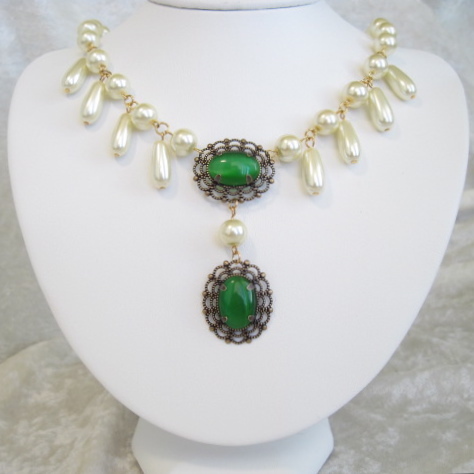 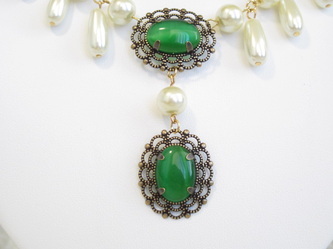 Two rich green glass cabochons in filigree settings form a stunning focal point. A single strand of creamy glass pearls supports eight pearl teardrops. This set would be a gorgeous addition to any wardrobe. 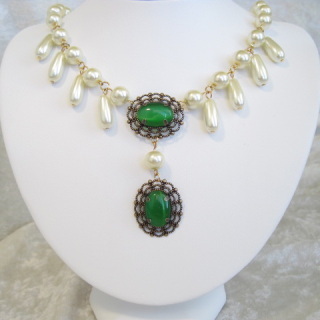 The necklace is 18" long and closes with a toggle clasp. 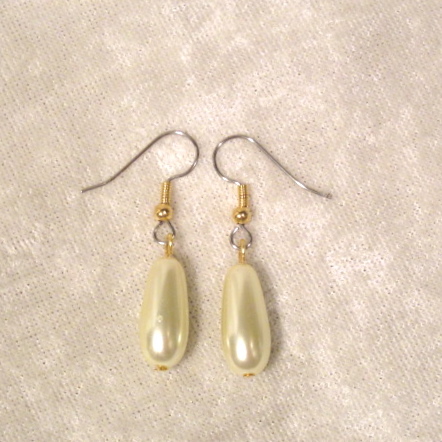 The matching teardrop earrings are 1" long.